I've been really wanting to try the whole "scuba"/structured midi skirt trend for a while and I stalked this one for quite a bit of time. It's a little heavier than I'd like so I'm not sure if I'll wear it much when it's gosh awful hot and humid this summer but until then, I'm looking forward to making a statement with it. You look beautiful! 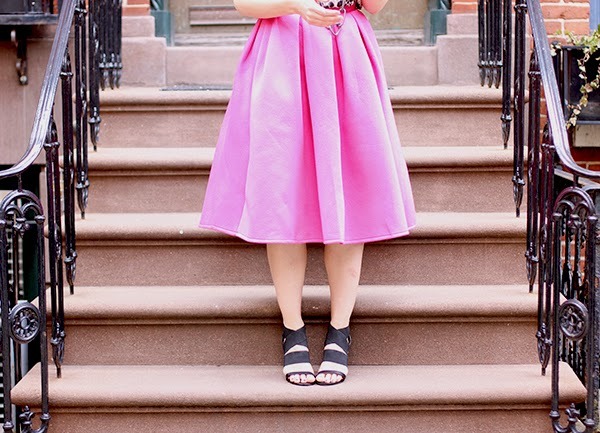 I love midi skirts, they are so feminine and chic. Your blog is one of my favorites, I need to comment more often! the pink looks great with the animal print! loving that top! 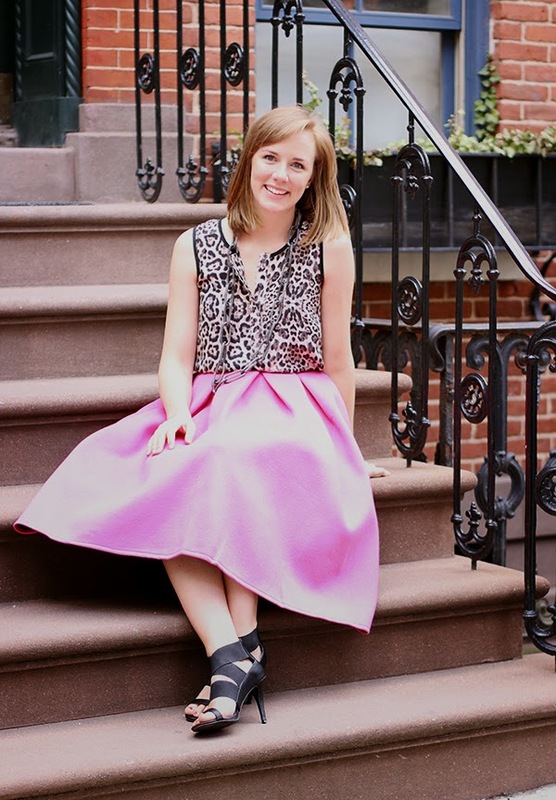 I am obsessed with midi skirts, and this one is perfection! Love the color. And it looks fantastic with the leopard! So cute!